Even though honey contains simple sugars, it is NOT the same as white sugar or artificial sweeteners. Its exact combination of fructose and glucose actually helps the body regulate blood sugar levels. Some honeys have a low hypoglycemic index, so they don’t jolt your blood sugar. The single most effective cultivation practice with heirloom tomatoes is to use grafted plants, with the heirloom variety grafted onto a vigorous, disease-resistant rootstock. Heirloom tomatoes do better when grown in high tunnels , where their foliage stays dry. Many tomato diseases thrive in moist conditions, including late blight, leaf mold, Botrytis and Alternaria . Because most heirlooms form big, vigorous plants, they require a tall tunnel and a strong trellising system. Most greenhouse and high-tunnel tomatoes are pruned to a single leader, and trained to a string that can be lowered later in the season, so that fruits remain accessible from the ground. Grafted heirlooms can, however, be trained to a double leader, so fewer plants are required (making grafting more cost-effective). Because most heirloom tomatoes are vigorous growers, they do need to be pruned more often. Pruning (also called "suckering") is important because removing suckers provides better air circulation, which helps prevent foliar diseases. Pruning also encourages larger fruit production at the top of the plant. Planting tomatoes with wider alleys between rows is another strategy to increase air circulation and thus reduce disease pressure. The standard recommendation for tomato spacing is 1 foot between plants and 4 feet between rows. With heirlooms, wider spacing in either or both directions will improve air flow. 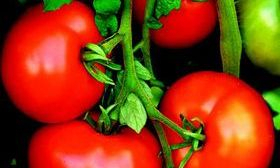 In the field, tomatoes should be grown on mulch to prevent soil splash as well as to warm soil, conserve soil moisture, and prevent weeds, all of which benefit marketable yields. 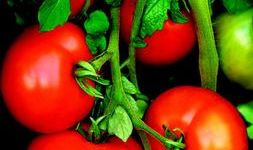 Black Solar Mulch , SRM Red Mulch , and Bio360 Biodegradable Mulch are options recommended for tomato production. To keep foliage dry, drip irrigation is preferable to overhead watering. Additionally, fertigation (fertilizing while irrigating) through the drip line is preferable to foliar feeding. A disease prevention program is essential in areas where tomato disease pressure is high. Begin by applying Rootshield to transplants before setting them out; the active ingredient, a beneficial fungus, grows onto plant roots and provides protection against root diseases. Once planted, tomatoes should be inspected regularly for any sign of disease — easy to do with heirlooms because you'll be pruning them often. 2. 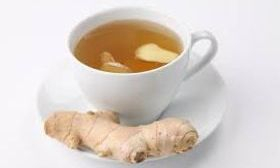 Ginger Can Treat Many Forms of Nausea, Especially Morning Sickness. 1. Bananas Contain Many Important Nutrients. Bananas are rich in a fiber called pectin, which gives the flesh its structural form.Unripe bananas contain resistant starch, which acts like soluble fiber and escapes digestion. Both pectin and resistant starch may moderate blood sugar levels after meals, and reduce appetite by slowing stomach emptying. The glycemic value of unripe bananas is about 30, while ripe bananas rank at about 60. The average value of all bananas is 51. A medium-sized banana contains about 3 grams of fiber, making bananas a fairly good fiber source. Resistant starch escapes digestion and ends up in our large intestine, where it becomes food for the beneficial gut bacteria. 4. Bananas May Help With Weight Loss. They are also rich in fiber. Eating more fiber from fruit and vegetables has repeatedly been linked with lower body weight and weight loss. 5. Bananas May Support Heart Health. Yet despite its importance, most people are not getting enough potassium in their diet. A potassium-rich diet can help lower blood pressure, and people who eat plenty of potassium have up to a 27% lower risk of heart disease. Furthermore, bananas contain a decent amount of magnesium, which is also important for heart health. They contain several types of potent antioxidants, including dopamine and catechins. These antioxidants have been linked to many health benefits, such as a reduced risk of heart disease and degenerative diseases. In reality, dopamine from bananas does not cross the blood-brain barrier. It simply acts as a strong antioxidant instead of altering hormones or mood. As a rule of thumb, you can estimate that the greener the banana is, the higher the amount of resistant starch it contains. Several studies have shown that 15–30 grams of resistant starch per day may improve insulin sensitivity by 33–50%, in as little as 4 weeks. However, the reason for these effects is not well understood, and not all studies agree on the matter. One study in women showed that over 13 years, those who ate bananas 2–3 times per week were 33% less likely to develop kidney disease. Other studies have found that those who eat bananas 4–6 times a week are almost 50% less likely to develop kidney disease, compared to people who don’t eat bananas. The reason for the cramps is basically unknown, but a popular theory blames a mixture of dehydration and electrolyte imbalance. However, studies have provided mixed findings about bananas and muscle cramps. Some find them helpful, while others find no effects. That being said, bananas have been shown to provide excellent nutrition before, during and after endurance exercise.